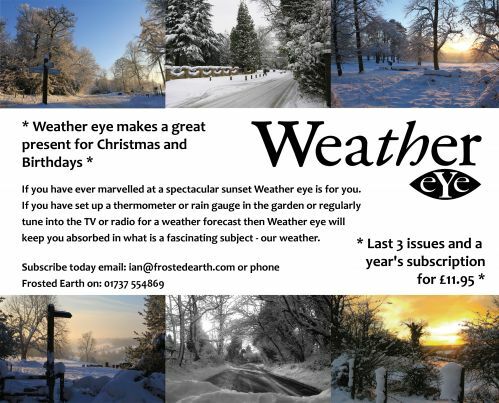 My name is Ian Currie and my team and I welcome you to Frosted Earth; our site with facts, data, photographs and of course the latest weather forecasts. We use our years of experience in weather forecasting to give a detailed prognosis of the weather conditions expected throughout the Southeast for up to 72 hours ahead. Also available are long range forecasts for each month of the year. Ian is available as a consultant for weather related insurance claims, holiday destinations, horticulture, sporting and outside events to name just a few examples. A comprehensive range of forecasting services specific to a wide variety of different industries and individuals. Ian particularly provides regular short and long term forecasts for agriculture and horticulture. This is invaluable to growers , nurseryman, farmers, vineyards and garden centres for example. Take a closer look at meteorology by attending one of my popular Weather Talks. 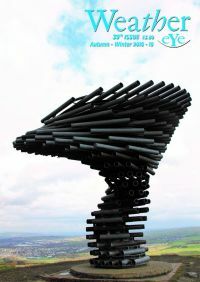 Book me to visit your club or society or take a look at Weather eye, my quarterly magazine and window on the Weather.